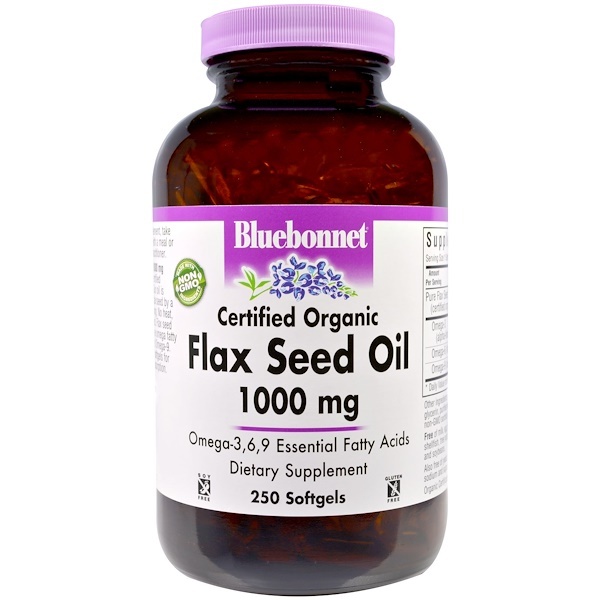 Bluebonnet's Flax Seed Oil 1000 mg Softgels are prepared from certified organically grown flax seed. 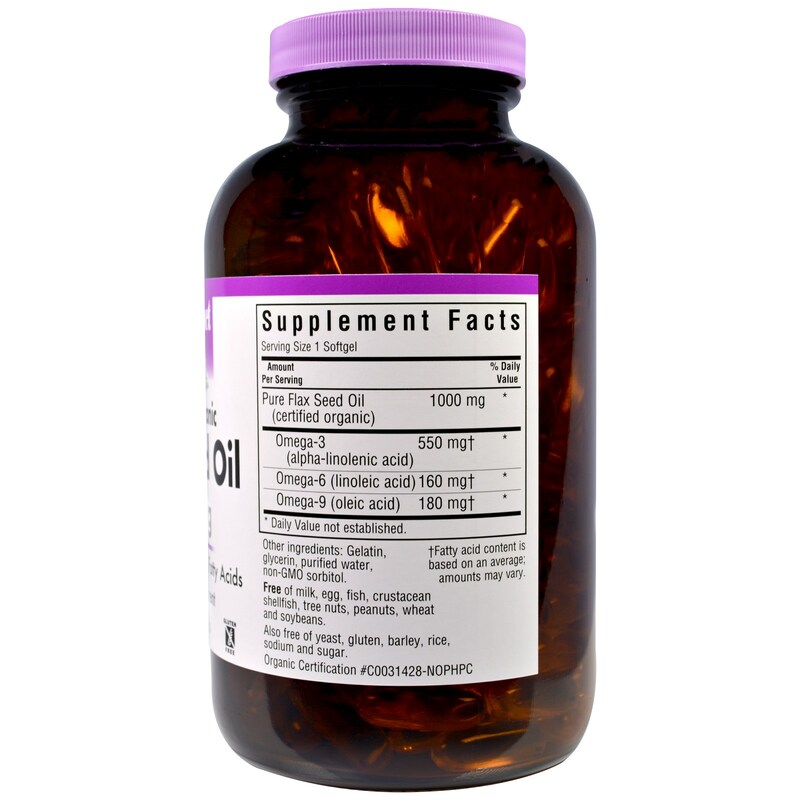 Our oil is naturally squeezed from the flax seed by a process known as cold-pressing. No heat, solvents or chemicals are used. 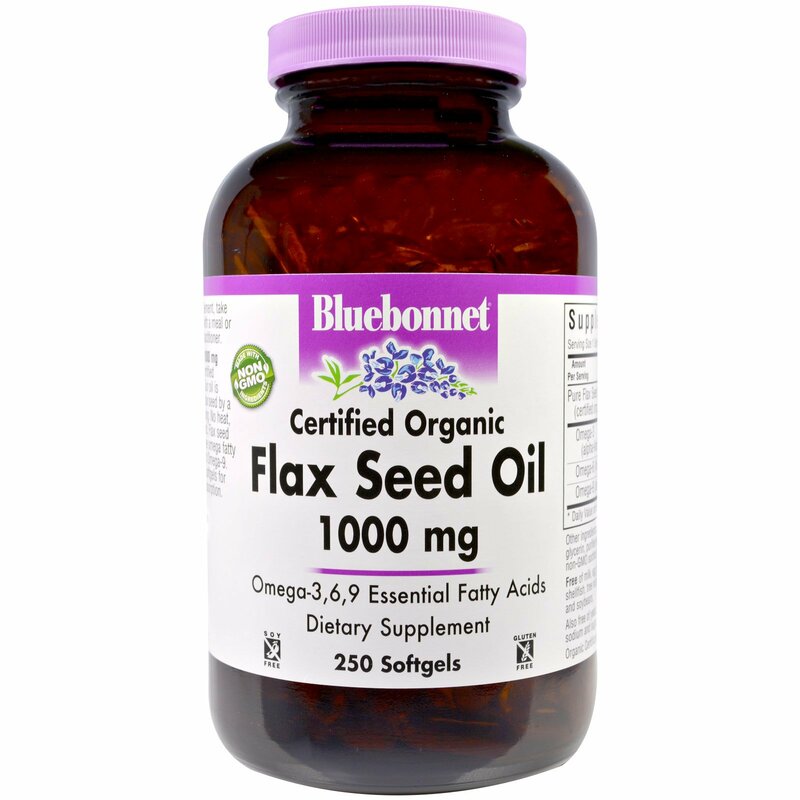 Flax seed oil is an excellent source of the omega fatty acids: Omega-3, Omega-6 and Omega-9. Available in easy-to-swallow softgels for maximum assimilation and absorption. Gelatin, glycerin, purified water, non-GMO sorbitol. †Fatty acid content is based on an average; amounts may vary.